Whether we are connecting with an aspect of the self, or with higher-density beings, it is important to have proper and reliable connectivity with positive polarity. Whatever our goals are for communication, it is important to remember that our connection and any information we receive can only be as reliable as we are, and have as much integrity as we, ourselves, do on the positive path. With this in mind, here are a few helpful tips from Ohmharmonics.com on how to connect with our soul. 1. Environment: while you can meditate anywhere with Omharmonics meditation audio, deep meditation requires quiet, peaceful, private and comfortable surroundings. You shouldn’t be distracted by temperature (or weather, if you’re outside), other people, background noises, etc. 2. Proper posture: the right posture defines how your energy moves during meditation – sitting tall with your back unsupported, hands in the lap and legs crossed, moves energy freely along the body’s energy centers or meridians (chakras). You don’t have to sit in full Lotus if it’s uncomfortable, but sprawling on the sofa or lying in bed won’t achieve the same powerful results. 3. Focus. Use Omharmonics binaural beats to enter meditation, but focus your full attention on the soundtrack instead of allowing your mind to wander. It’s best to play the soundtrack very quietly (choose the one that makes you most peaceful). Volume doesn’t matter since the binaural beats are inaudible to the ears anyway. The important thing is to shift your attention inward and detach from awareness of the external world and even your own body. 4. Observe and immerse your attention in the experience of the audio track. Strive to hear every note, every silence between notes. Don’t allow any thoughts to distract you. 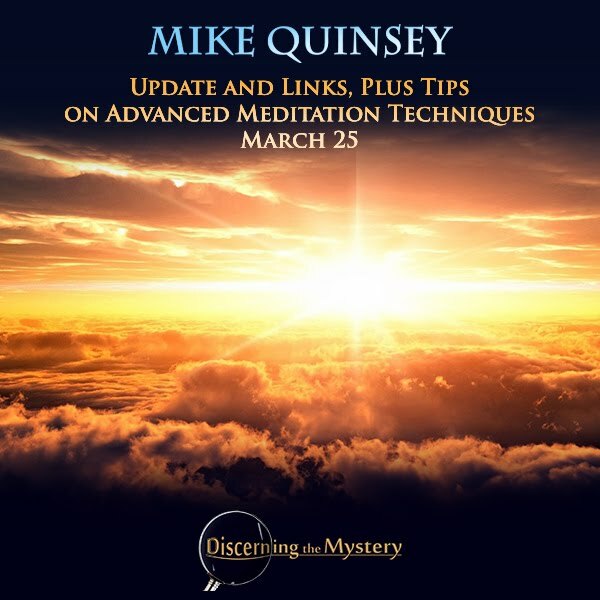 Bring your focus back to the meditation audio, again and again until the mind begins to relax and relinquish control by becoming quieter. Thoughts will gradually disappear as you take your attention away from them and your mind will become silent. It works like this: first, you’re aware of your thoughts but persistent re-focusing on the music dissipates thoughts. You may be aware of your physical body and your surroundings at first, too. As thoughts disappear, so does awareness of your body and physical surroundings. You begin feeling UNITY with universal consciousness. There is no perception of time or space when you are in deep meditation. There is only a warmth that is more than physical warmth; an indescribably beautiful peace and feeling of love and one-ness. There are no adequate words to describe this profound spiritual experience! Aside from the advertising element, this process can be helpful in our connection to higher consciousness. Though we may not need any specific type of music, music can be a helpful tool in helping the mind relax. Personally, I prefer instrumental meditation-based tracks from Youtube, as most of the one's you will find are commercial-free and uninterrupted. The overall goal is to calm and quiet the mind, as well as to take various auditory distractions out of the equation (although many of us have learned to do this without the aid of music). Once we have accomplished this, our experience can be enhanced. The above list is helpful in allowing us to connect with the self, but there is much more to know on these connection techniques. For those who enjoy such channeled information as that from Quinsey and others, you can expect more of these insights in the future. With that, here is Mike Quinsey. Whether you are aware of it or not, matters are progressing well in spite of the many delays. However they will be unable to influence the outcome, as all has been well planned. The Forces of Light approach nearer to you as time passes, and are ready to carry out their tasks at very short notice. The dark Ones and their minions are but a small force compared to the Light, but never the less can cause delays in your work as you have experienced. “Re-valuation” is ready to commence and will do so once those in control are satisfied that by proceeding, they are not putting the whole scheme at risk. It involves many countries that are now ready to go ahead at very short notice. Be assured that matters are so advanced now that nothing will stop the eventual changes from taking place. The turmoil is still occurring on Earth as the dark Ones continue make themselves known by their indiscriminate actions against innocent people. Naturally karma is involved but that does not in any way excuse their murderous intentions. It achieves nothing in furthering their cause, but alienates people on all levels. These actions can be brought to a complete halt and will be once a certain point is reached. Meantime you will continue to evolve as the vibrations proceed to lift you up, and will draw further away from the lower vibrations until you are ready to ascend. The truth about the evolution of the Human Race is far removed from fact, and in the very near future your history books will be re-written to reflect the truth. The dark Ones have tried to hold you back by keeping the truth from you, but it has been to no avail. Over a period of time souls of the Light have been born to the Earth with memories intact of earlier experiences. There is no way the truth can continue to be hidden, and there are now many sources ready to reveal it. It will release you from the false picture presented by both religion and your history books, and prepare you to take your place in the higher realms. There can be no misrepresentation of the truth of how the Human Race evolved, and from the higher levels if it is necessary, it is possible to travel back in time and see for your selves. It is important that you keep focused upon your goal, and do not allow doubt to creep into your minds. The end times are inevitably quite volatile, but Light continues to lift up leaving the lower vibrations to find their own level. However, everywhere changes are occurring and the outcome will see the Light becoming the dominant force. The old has no place in the New Age that has only just begun, and those souls that cling to it will stay in the level that suits their needs. It is a totally fair and acceptable way of evolving. Friends and even some family members may move to a level different to yours, but know that every soul will end up exactly where they are meant to be. Close families are most likely to have similar needs, which is why they often incarnate together. Whatever happens every soul will find themselves exactly at the right level. Because you have freewill you can of course move back to an earlier stage, if that is necessary to further your evolution. One thing you cannot do is move to a level that is higher than your vibrations. You can however visit a higher level by accompanying a soul who is already of that vibration who will protect you. There is a time approaching when all people shall have sufficient to live a life of comfort, and no one will go without. You will build up to that level helped mainly by St. Germain, who has enormous funds waiting to be released. You will be utterly astonished when you learn of the plans that were made millennia ago to bring you to this point in time. At times you have felt that you are fighting a lone battle against the dark Ones, but at all times you have been supported by vast numbers of helpers working for the Light, Love and Truth. The changes will come in your time regardless of how many obstacles are placed on your path. They are already in the process of manifesting and there is an orderly manner in which they shall be announced. The priority is to bring your civilization to a point where the lack of essentials for a comfortable existence is overcome. It will take place speedily and efficiently. Once people are no longer bound by providing the essentials of life, they will have time to follow their own pursuits. The spirit of helping others less fortunate will return in full and co-operation will abound. You will eventually find that you are able to live in peace and feel safe in your own home. Once people realise that there are no longer threats against them, they will be able to relax and enjoy a level of life far beyond their present experience. The changes may seem far away, but in reality they are near to being announced. It is a matter of simply waiting for the safe and appropriate time to do it. Having successfully come this far there is no panic or concern about the timing, as you may be sure all factors will be considered before proceeding. It is so advanced that from time to time only minor changes are necessary as everything is in a state of readiness. The dark Ones are in retreat having lost considerable power and the ability to alter the outcome. They will hit out at anything to continue causing fear and commotion, but it will not achieve anything for them that will now alter the outcome. If your Press was free to report the truth of what was taking place, you would kept up to date on the happenings. However, that position is also changing and attempts are being made to return to a free Press. You have been deliberately mislead for many years and only fed the news that the dark Ones control. The Internet has largely overcome that problem as there is a freedom to report matters as you find them. It is used to bring the truthful facts to your notice and you have a great advocate in David Wilcock who works tirelessly to bring all matters into the open. Of course those with a different agenda set out to confuse matters, but as long as you are well informed you will know what to believe. Events are speeding up in spite of their outer appearance but for the time being are overshadowed by those taking place on Earth that are causing fear and turmoil. Be assured that there are provisions in place to ensure that matters do not get out of hand. As a freewill planet certain expressions have to be allowed for an individual’s beliefs, but there are also limitations in place. There will shortly come a time when confusion will seem to have no end, but be assured the Forces of Light will take a hand in bringing about a speedy conclusion. They work according to instructions from higher Beings that oversee the destiny of Man. You already know that your future is assured and you need have no worries about a successful outcome.